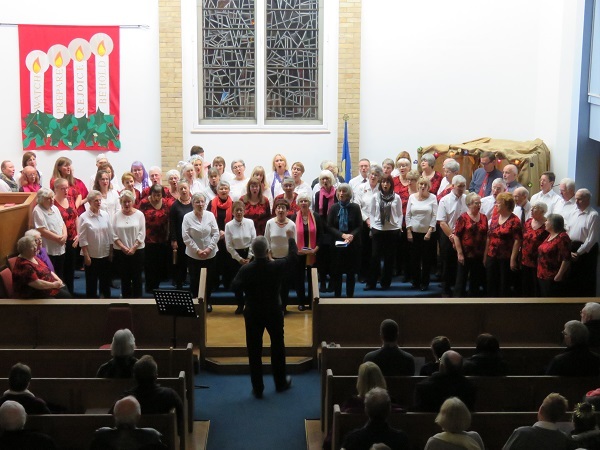 Singers Inspired, Anglian Accents Chorus & Rainbow Community Choir presented a joint concert, singing a selection of songs in differing styles and some festive numbers too, at the Downham Market Methodist Church on Saturday 16th December 2017. Each choir sang their own sets and the concert concluded with several numbers performed by all three choirs together. Profits were donated to 'Big C' Cancer Charity.